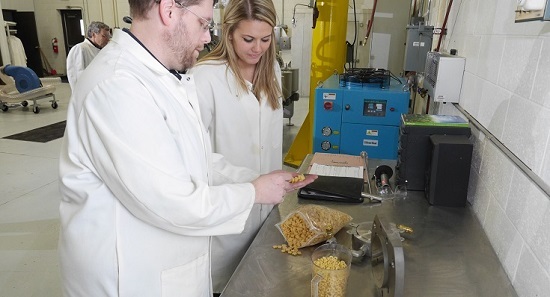 A twin-screw extruder recently installed in the Baker Perkins Innovation Center at Grand Rapids, Michigan, enables companies in the snack, cereal, pet products and other extruded food sectors to create new products and processes, produce samples for evaluation, carry out feasibility studies, and train staff. This development allows customers to explore the extensive capability of the Baker Perkins SBX Master™ extruder range, which includes direct expanded, extruded, co-extruded, and cut products. Direct expanded products include curls, rings and puffs, commonly used as breakfast cereals or snacks. The addition of a co-extrusion die generates continuous snack and cereal tubes filled with a savory, sweet or fruit center filling. The tubes can be formed into a variety of different products including mini, bite-size or hand-held pieces in pillow, stick, bar or wafer shapes. Another die serves a unique extrusion process developed and perfected by Baker Perkins. This die produces a thin, wide sheet of dough that can be cut into regular, geometric shapes by an in-line rotary cutter. The shapes may be fried as a conventional snack, or oven baked for a lower fat content, and then flavored. Some types of crackers and cookies can also be produced. This extruder also includes an extended barrel that increases the range of process options for extruded breakfast cereal flakes. A technique combining cooking, cooling and pellet forming in a single extruder provides a compact system suitable for the majority of extruded flakes. 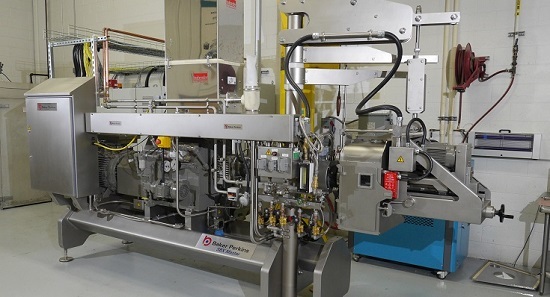 The SBX Master™ extruder plays a key part in Baker Perkins’ modular Snack Master™ and Cereal Master™ concepts, which enable a line to be extended with additional process units at any time to broaden the range of products that can be made. Companies can enter the market with an uncomplicated extrusion system making standard, direct expanded products and then extend the system at a later date as business expands to make a full portfolio of high specification, added-value products. This development extends the end product capacity of the Innovation Center at Grand Rapids, which already includes equipment to form and bake cookies, soft dough products, filled or granola bars, and pet products. 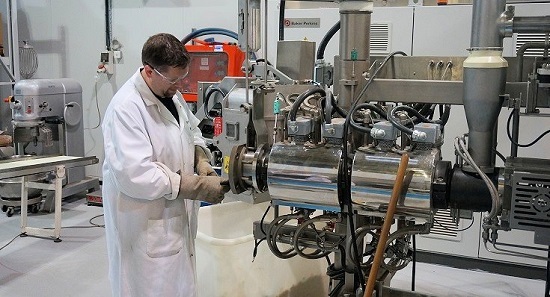 Similar extrusion capability is also available to customers in Baker Perkins’ Innovation Centres in Peterborough, United Kingdom.